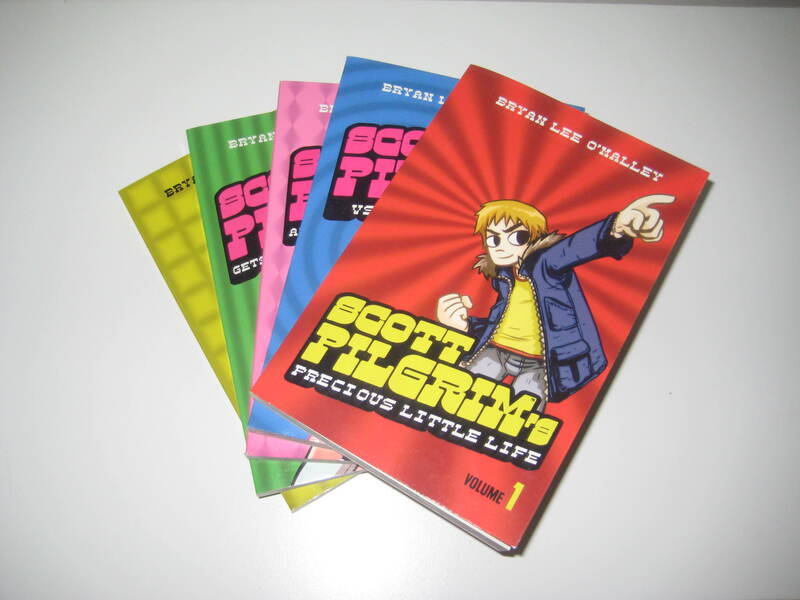 Byran Lee-O’Malley’s life work comes in the form of the adventures of Scott Pilgrim. It is a comic that to this reader, transcends genres. This is because not only will the geeks froth at the various video game references found within Scott Pilgrim, but also comic book readers will enjoy what is a completely fresh fantasy world with which to explore. I use the term fantasy fairly loosely, but the universe Lee-O’Malley has created is one that is completely otherworldly, however this doesn’t become apparent until near the climax of the first volume. By which time you are completely discovering whether Pilgrim will survive the mammoth task that has been set before him. Basically Scott Pilgrim is smitten by a new girl in town, Ramona Flowers. However if he wants to date her he has to spend time defeating her evil exes who have joined together to form an evil league of ex boyfriends. I am looking forward especially to the final volume of the story but also to the film adaptation coming out this august also which has been directed by Edgar Wright – director of Shaun of the Dead and Hot Fuzz. It’s not too late to jump on the bandwagon and fall in love with this world and these characters before the film is released. I have great confidence the film will do the comics justice but no matter how great the movie is I will always reach over and read through the books whenever I am bored because they are a great read that I will always keep coming back to. This entry was posted in Books and tagged Bryan Lee-O'Malley, Comic, Graphic Novel, Knives Chau, Ramona Flowers, Scott Pilgrim by Jonathan Day. Bookmark the permalink.